Antibiotics are prescribed for treatment of bacterial infections, and work by inhibiting proteins involved in the bacterial life cycle. Aminoglycosides are a class of antibiotics that bind to bacterial ribosomes and interfere with the protein synthesis process. The first aminoglycoside antibiotic, streptomycin, was discovered in 1940s and proved crucial in treatment of tuberculosis. Since then many other aminoglycoside antibiotics were developed and are used for treating diseases such as bacterial meningitis, gonorrhea, serious skin and bone infections, and many more. In many cases, the misuse and overuse of antibiotics is caused by the lack of knowledge how antibiotics work and how bacteria become resistant. Your role is to make a video that helps the viewers understand the action of antibiotics on the molecular level and how bacteria become resistant so that they can make informed decisions regarding their own antibiotics usage. The molecular changes that occur in bacteria that help them to become resistant to aminoglycoside antibiotics using relevant 3D protein structures. The dangerously high level of antibiotic resistance caused by misuse and overuse of antibiotics. Explain how viewers might be affected, and what they can do prevent it. Use the Learn section for background information and access relevant 3D structures and additional resources. Use the Participate section for instructions on video creation. Imagine you are teaching the content to another high school student, who has overall knowledge of biology similar to you, but they have not studied the antibiotic resistance in great depth. All students enrolled in any high school in the United States and equivalent level home-schooled students are eligible to participate in groups comprising from 1 to 4 students. Each participant has to submit the Permission Form in order to be eligible to win the challenge. Results Award winners will be announced at rcsb.org and pdb101.rcsb.org on May 14, 2019. 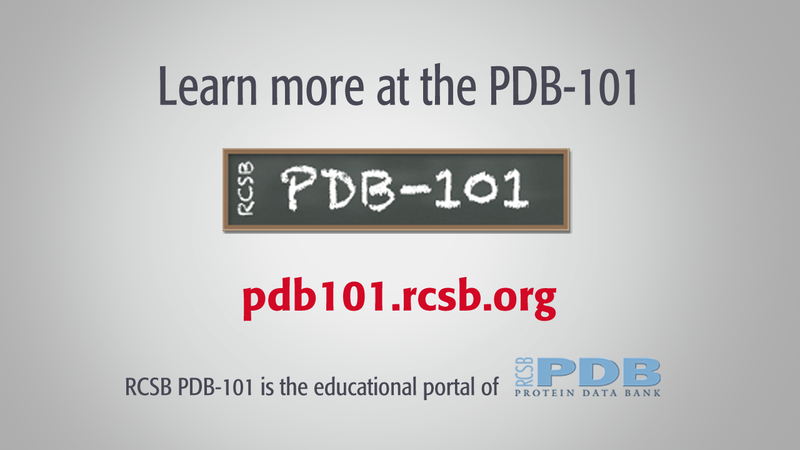 The top three entries will be recognized on rcsb.org, pdb101.rcsb.org, and in an upcoming RCSB PDB Newsletter. As voted by the viewers.